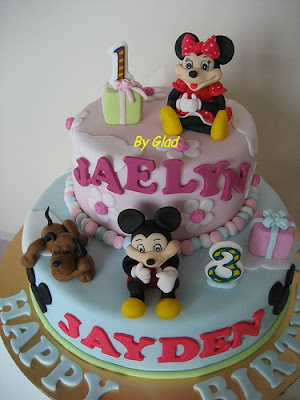 This is for dual celebrations where Jaelyn is turning ONE and Jayden is turning THREE this year. I like Pluto dog's position, he's so relax and taking his nap (sorry no closed up picture for him). All the figurines here were free hand moulded (I've got some enquiries on the figurines, hope this clear some of your doubts on figurines ....).